including leaders from the city’s government, business sector, and community. There will also be performances by the lions, street performance, and African martial arts. This is a free, family friendly interactive event. Lucky Chaos has been active in Austin since 2012. The group produces creative works by Asian-American and other under-represented voices. They work to increase dialogue through live performances, film and digital content, and an education program. The Lucky Chaos program areas, Mental Health, Live Theater, Digital Content and Workshops, will include fun and interactive activities. 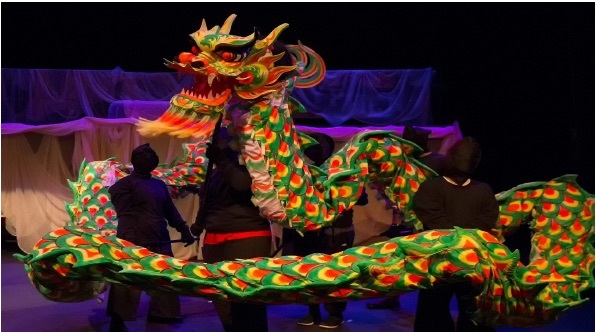 There will be multiple performances, including a Lion Dance and a performance by Sefe Dekote, a local non-profit researching and continuing traditional African martial arts. This will also be the debut of the new graphic novel, 8Tribes, inspired by Austin and its residents! Leng Wong is Executive Director of Lucky Chaos Productions. Go to the Our House Facebook Page. This entry was posted in Metro and tagged Arts, Asian-American, Diversity, Lucky Chaos, Metro Bloggers, Metro Event, Our House Festival, Performance. Bookmark the permalink.